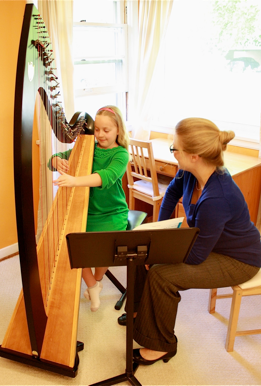 Earecka Tregenza teaches harp lessons in Spokane and Seattle, Washington. 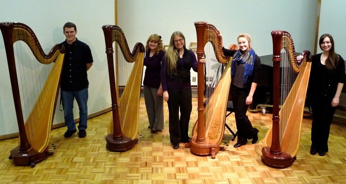 In addition to her private studios, she is also the harp faculty at Whitworth University, Eastern Washington University and Gonzaga University. Ms. Tregenza is an active performer throughout the region, both as a soloist and orchestral musician. She can regularly be heard with violinist Jason Moody as a part of the Cascade Duo, or as Principal Harp with the Spokane Symphony. She is also a substitute with the Pacific Northwest Ballet, Seattle Opera and the Seattle Symphony. Earecka Tregenza holds music performance degrees from the Cleveland Institute of Music and the Shepherd School of Music at Rice University. While pursuing her Master’s degree, she was a teaching assistant at Rice University, instructing non-major harp students and young harpists enrolled in the Michael P. Hammond Preparatory Program. Ms. Tregenza has also been a faculty member at the Interlochen Summer Arts Camp in Interlochen, Michigan. Earecka specializes in the Salzedo method of harp playing, based on the teaching method of one of the 20th century’s greatest pedagogues and performers, Carlos Salzedo. This method advocates a strong technical foundation, promoting ease of movement, strength, consistency, and a rich sound quality. Earecka’s teachers were Judy Loman, Paula Page, Yolanda Kondonassis, Alice Chalifoux, Marilyn Costello and Rebecca Lewis Wagner, all of whom were first or second generation students of Carlos Salzedo. 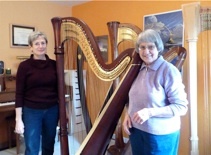 For more detailed information about the Salzedo method of harp playing, please click here. 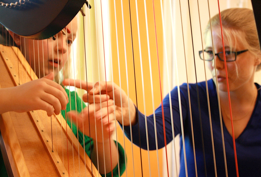 To inquire about setting up a trial lesson, or about the availability of a rental harp, please contact Earecka by clicking here.